Private schools getting more expensive and opulent: They show how the super rich are leaving the mildly rich behind. Private schools for the ultra-wealthy keep getting more opulent. Is it a problem if the somewhat wealthy feel left behind? Hancock Park’s Marlborough School in California tore down a number of neighborhood homes to add an Olympic sized aquatics center, fitness facility, and expanded athletic field. 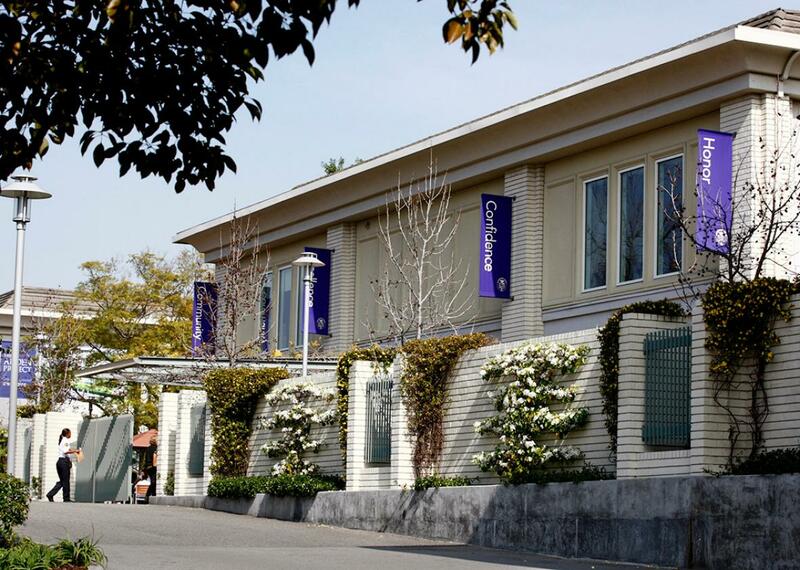 This past weekend the Los Angeles Times published a piece about recent or planned expansions and luxury level upgrades at a number of elite private schools, many located in rather exclusive neighborhoods of the city. Hancock Park’s Marlborough School, the paper reported, tore down a number of neighborhood homes to “add an Olympic sized aquatics center, fitness facility and expanded athletic field,” while West Hollywood’s Center for Early Education (a school so known for its power-broker parents that it has acquired the less-than-flattering moniker the Center for Early Networking) is now attempting to raise between $50 and $75 million for campus upgrades. Before you say, “Only in L.A.” and move on, know this is not simply a West Coast phenomenon. In New York City, a combination of ambitious parent fundraising and a city bond program is also inspiring an arms race of new amenities at the city’s independent educational facilities. Consider the prestigious Brearley School. The school bought three tenements, and will be building itself a new lower school, complete with a state-of-the-art science department, auditorium, and gym. Neighborhood pushback to these changes is often fierce. Increased traffic is frequently a concern in Los Angeles, while in New York there are screams about the loss of residential real estate. Something barely analyzed in any of the articles discussing these debates? That private-school building sprees and the tuition increases accompany them—to close to $40,000 for the Los Angeles independent schools and to $45,000 (and sometimes more) in New York City—aren’t merely symptomatic of the widening chasm between the rich and the rest of us. They also reveal fault lines between what you might describe as the comfortably upper middle class to lower upper classes, and the super-duper rich. Let me explain. While the convenient—not to mention easily understandable—shorthand of the post-Occupy world is to refer to the 1 percent vs. everyone else, that’s not a fully accurate picture of how increasing income disparities play out. Work by economists Emmanuel Saez and Gabriel Zucman shows that most of the income accruing to the top 1 percent of the population is actually accruing to a rather narrow slice of the cohort—the top one-tenth of the group, to be specific. This leaves more than a few people who are by any objective standard wealthy feeling convinced that they are falling behind. We’re talking about doctors and lawyers—heck, even investment bankers—who can’t keep up with the extreme wealth emanating from hedge funds, Silicon Valley, and out-of-control CEO pay. And in one sense, they are correct. The lower uppers, for example, can increasingly no longer afford to send their children to elite independent schools in cities like New York and Los Angeles, which are, it seems, priced for the wealthiest of the wealthy. Those who can pay the bills are, in turn, demanding ever more amenities in return for their checks. This then leads to an even-greater disparity in treatment and experiences. “This is about separating the 0.001 percent from the herd,” says University of California Irvine professor Catherine Liu, author of American Idyll: Academic Antielitism as Cultural Critique. After all, public-education spending is still suffering in the wake of the Great Recession. Liu, for example, points out that her son’s public school offered a teacher-student ratio of about 20 to one before 2008. Now? Thirty-five. Some classes are at 40. The school, she says, could use a paint job too. “Compared with other districts, it is luxurious, but compared with Sage, it looks like bare bones,” she notes. That’s Sage as in the nearby Sage Hill School, located in exclusive Newport Beach, where parents who can pay the almost $35,000 tuition per student get an average of 16 children in a class. The facilities are also impressive. In 2012, one family donated more than $1 million for a new running track and other athletic field improvements. In 2013, the school announced a new $7.5 million science center. Sage Hill only opened its doors in 2000. Well, maybe the drought is aging things. We see this in other areas of American life too, this bifurcating of experience between the wealthiest of the wealthy and everyone else. The monied are increasingly likely to use concierge medical practices, while even fairly middle-class people are turning to crowdfunding campaigns to handle the financial crises they are plunged into by unexpected illness or tragedy. Handbags costing several hundred dollars like Coach are falling out of favor, while one can barely find the most recent Lanvin or Mansur Gavriel totes—which can cost more than $1,000—in stock. Financial service firms like Merrill Lynch push their brokers to turn clients with portfolios worth less than $250,000 to call centers and bank branch personnel, while certified financial planners who are required to act in their clients’ best interests woo people with multimillion-dollar portfolios. As for politics, a recent New York Times analysis found fewer than 400 families were responsible for just under half the $388 million so far donated to candidates or organizations involved in the 2016 presidential race. So far, that’s not happening. Since this is the United States, people often blame themselves for not being able to keep up. “I meet parents, they earn good salaries, but when we calculate the cost, they are having a nervous breakdown,” Whitney admits. We’re also seeing a crabbed meanness toward those who have less. New York Times columnists David Brooks and Ross Douthat regularly discuss the problems of the less well off as a failure of morals, not economics, while Donald Trump has taken the politics of “what about me” to go from tabloid cartoon joke to, for now, serious presidential contender. As for the parents who can’t afford these high-priced schools with amenities straight out of the Ritz, it’s likely that educationally, their children will be fine. But that’s not the only worry. There is also the long-term impact of increasingly separate educational experiences—for one group, one of ever-more luxury, and for the other, a constant lesson in learning to make do with less, even if less is still pretty good. We don’t know how that will turn out for our society.